Today I tried warming up some vegetables and although the microwave seemed to work fine, my vegetables remained cold. My first reaction was: "I'll go buy a new one next week" (since today is Saturday, and it was 21:00). I then remembered that although dangerous (read disclaimer below), microwave ovens are fairly simple appliances and should be easy to fix. This is how I decided to have a look to see what I could do... and I was far from expecting it would only take me 15 minutes to fix it. Disclaimer: microwave ovens work at high voltage which can be dangerous, even when unplugged. 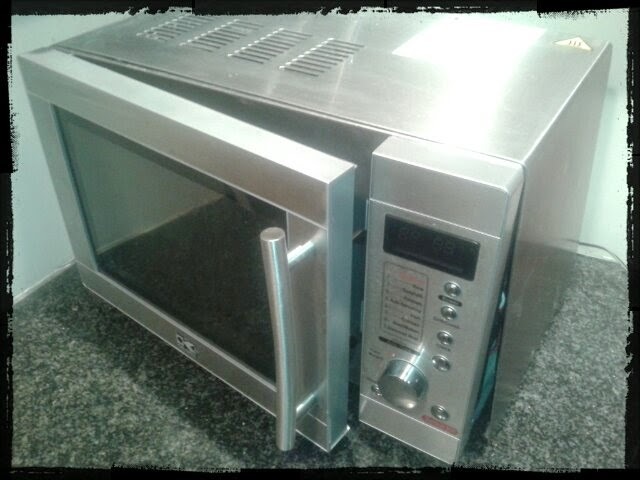 Make sure you read and understand these safety measures before opening the microwave oven. Oh, and by the way, I can't be held responsible if anything happens to you, anybody else or anything, really, if you do anything documented here, you take your own responsibilities and should consider yourself warned. Before I opened the case, I made sure I read and understood these important safety instructions; I read them twice to make sure. 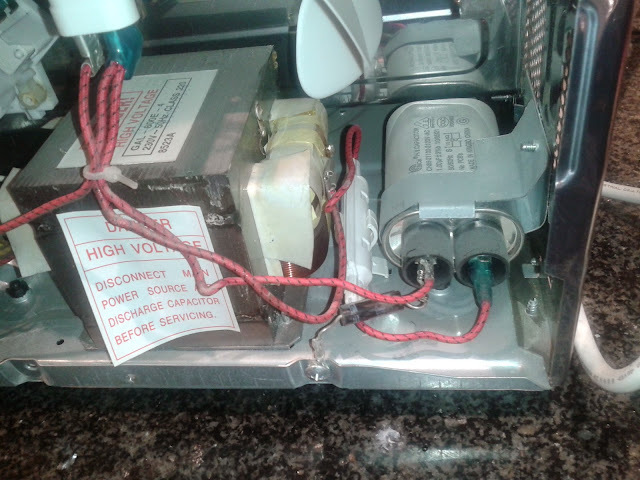 I discharged the high voltage capacitor and moved on the microwave troubleshooting guide. In less than one minute I discovered the the high voltage fuse was blown, which is apparently common in commercial models. I searched on eBay for a 5kV 0.7A fuse and found one for 3.64€, shipping included (from the UK, I'm located in Belgium)... and that was it. My microwave oven now works again ! I spent 15 minutes, saved 75€ and helped the planet (a little). This is something we really need to do more often ... and lose this old habit of 'buying a new one' for a blown fuse!